Leverage are finally returning with their first proper new full-length album in 10 years! 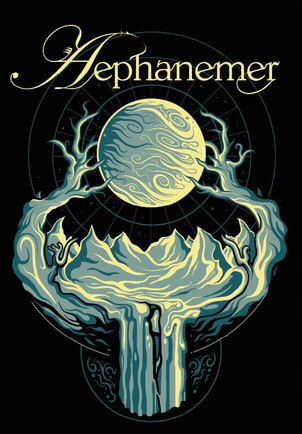 Preceded by the release of the (digital only) EP “The Devil’s Turn”, the Finnish heavy rockers are about to retake the heavy metal/hard rock world by storm with the release of “Determinus,” their first full length album since the release of "Circus Colossus" in 2009. Leverage landed on the scene in 2006 with the independent release of their debut album, “Tides”. 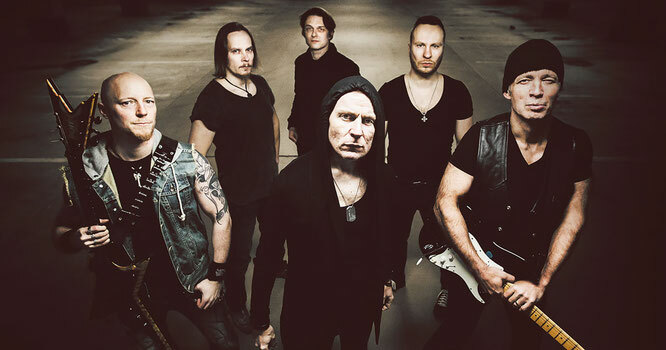 With their blend of symphonic and melodic hard rock combined with some progressive metal twists, Leverage created a buzz on the scene and were signed by Frontiers for the release of their second album, “Blind Fire” in 2008. Spinefarm/Universal picked the band up for their next album, “Circus Colossus” (2009)., but the band became inactive not too long after. Now they are back with an amazing new singer, Kimmo Blom (Urban Tale, Raskasta Joulua) and a new guitar player, Mikko Salovaara. “DeterminUs” promises to be one of the highlights of the melodic metal scene in 2019! Starting with ‘’Burn Love Burn’’, I can already hear so many Scandinavian influences. Which isn’t weird, the band is entirely Finnish. The Finnish are extremely good in making music melodic and symphonic, and that shows once again. ‘’Wind Of Morrigan’’ is very catchy and somewhat a bit eighties sounding. I’m in love with the guitar riffs though. ‘’Tiger’’ starts with an interesting mix, I don’t know why that is, maybe it would make more sense if it included a music video. Kimmo’s voice has a very high reach and I must say that is very impressive. I like that he does not overuse it because that keeps it special. The song itself is a bit more aggressive, but I don’t mind that. ‘’Red Moon Over Sonora’’ appears to be a ballad, it is very nice, but the vocals could have been a bit more tuned down in the verses. It feels like he is kinda pushing it. ‘’Mephistocrate’’ gives me serious Kamelot vibes, the only thing that is different are the kind of vocals. I really like the symphonic aspect of this album, I think Leverage made a smart move to stay true to their own unique sound. The solo in ‘’Mephistocrate’’ is amazing! ‘’Afterworlds Disciple’’ is easily one of my favourites from the whole album. It includes all of my favourite things. The synths and the orchestral parts work perfectly with the straightforward guitar riffs and the chorus is once again super catchy. ‘’When We Were Young’’ is a song I’d usually skip because it is too slow for me after hearing the previous tracks. However it is a beautiful song and I should have given it more attention. ‘Heavens No Place For Us’’ is the first track I dislike, and that is because of the repeating guitar riff in the verses that I find extremely annoying. ‘’Hand Of God’’ on the other hand is one of the best tracks on ‘“DeterminUs’’, and so is ‘’Rollerball’’. Both tracks rock and I like their attention for detail. We end the album with ‘’Troy’’, a very powerful, melodic track that kind of represents the album very well. Releasing an album after ten years of being inactive has to make a good impression. 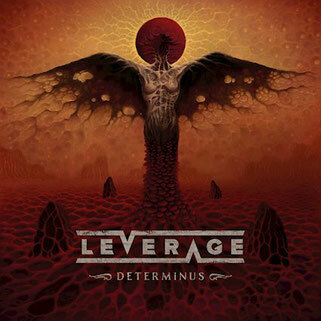 Which is exactly what Leverage has done with ‘’DeterminUs’’.